The ileum is one of the most common sites of intestine to undergo endoscopic biopsy. However, even with the experienced histopathologists, a definite diagnosis can be achieved only in 18% cases. 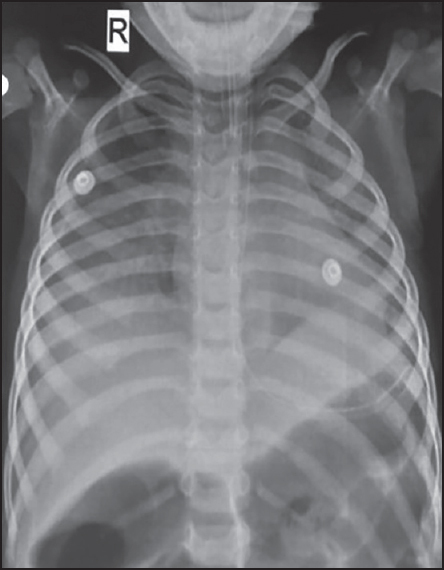 Lack of knowledge about proper tissue handling, tissue orientation, overlapping histological findings, and lack of a standard algorithm based approach results in this low diagnostic yield. In this review article, we have tried to discuss these aspects and give a clear picture how to approach the ileal lesions. It would help the surgical pathologists in effectively interpreting the lesions and to identify the common pitfalls. Context: Gastric adenocarcinoma (GAC) is a common malignancy with high mortality-rate. Analysis of molecular markers could form a foundation for the future use of targeted therapies to reduce morbidity and mortality. Aims: To find the prevalence and relation of epithelial cadherin (E-cadherin) and human epidermal growth factor receptor 2 (HER-2/neu) protein expression with histological type and grade of GAC using immunohistochemistry (IHC). Materials and Methods: A total of 100 cases of GAC diagnosed over a 2 year period were studied. 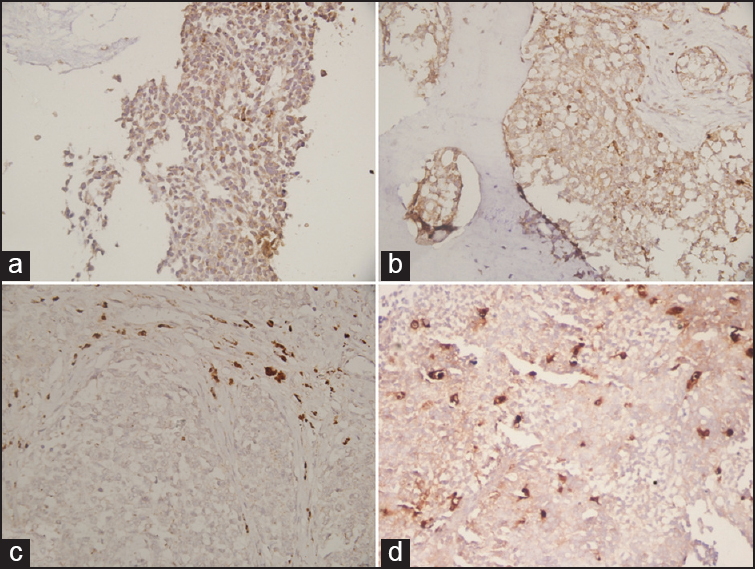 Expression of E-cadherin and HER-2/neu was analyzed by IHC in relation to the histological type and grade. Results: Of the 100 cases of GAC studied, 11 revealed a loss of E-cadherin and over-expression of HER-2/neu was seen in 17 cases. Loss of E-cadherin was seen in 50% of signet ring-cell carcinomas but only in 8% of tubular and none of papillary and mucin-secreting GAC (P = 0.003). Of all the cases of tubular GAC with loss of E-cadherin expression, majority (71.4%) were Grade III (P = 0.04). Of all the tubular GAC cases with an over-expression of HER-2/neu, 20% and 67% were Grade I and II GAC respectively while only 13% were Grade III (P < 0.001). Conclusions: Although poorly-differentiated tumors show loss of E-cadherin, better-differentiated tumors over-express HER-2/neu protein. Signet ring-cell carcinoma is more likely to exhibit a loss of E-cadherin protein. Targeted therapy toward HER-2/neu in GAC should be considered. Novel therapy to block E-cadherin down-regulation is justified. Background: CDX2 is a caudal homeobox gene essential for intestinal differentiation and is specifically expressed in colorectal adenocarcinomas. Its role in colorectal carcinogenesis is not fully elucidated. Aims and Objectives: To study the expression pattern of CDX2 and Ki-67 in different grades of colorectal adenocarcinomas and to observe the relationship of their staining patterns in various tumor stages and to look for correlation if any, between Ki-67 labeling index (Ki-67 LI) and CDX2 expression. Materials and Methods: A total of 74 cases were enrolled. Detailed clinical profile, peroperative findings, histological grading and staging were noted. Immunohistochemistry for CDX2 and Ki-67 was done, and Ki-67 LI was calculated. CDX2 staining was graded semi-quantitatively, and statistical analysis was done. Result: Age of presentation ranged from 20 to 75 years, and the male:female ratio was 1.83:1. There were 8, 47 and 13 cases of well, moderate and poorly differentiated adenocarcinomas, respectively. The mean Ki-67 LI of well, moderate and poorly differentiated adenocarcinomas were 14.25, 31.34 and 43.08 respectively, and their difference was statistically significant, correlation was also noted with stage. 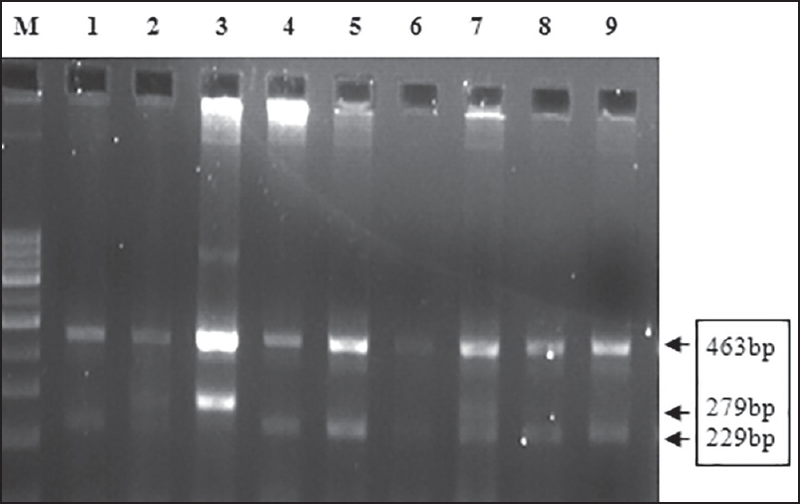 CDX2 expression appeared to be stronger in poorly differentiated cases, but there was no significant difference in its expression in the different grades and stages. There was no correlation between Ki-67 LI and CDX2 immunostaining pattern. The lymph node metastasis showed CDX2 positivity in all the cases. Conclusion: Expression of CDX2 does not significantly change with the grade of colorectal adenocarcinomas. However, it is an important diagnostic marker in metastatic colonic lesions. The Ki-67 LI, on the other hand, showed a strong correlation with histopathological grades. 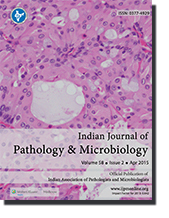 Background: The clinicopathological and immunohistochemical data of solid-pseudopapillary neoplasm (SPN) from India are limited. Our objectives were to evaluate various histopathological parameters and immunomarkers to elucidate the best possible immunomarker combination that can accurately diagnose these tumors. Materials and Methods: Clinicopathological features of 33 consecutive cases of SPN were retrospectively analyzed. Immunohistochemistry (IHC) was performed on a tissue microarray of 31 of these cases with antibodies to pan-cytokeratin (CK), vimentin, CD 10, E-cadherin, β-catenin, estrogen receptor (ER), progesterone receptor (PR), chromogranin. Results: Totally, 32 of 33 patients were females with a mean age of 26 years (range 12-62 years). Majority presented with abdominal pain (93.93%) and/or abdominal mass (48.48%). Location in pancreas included tail (14), head (7), body and tail (6), body (5) and neck (1). The mean diameter of the tumor was 8.6 cm (range 0.5-16 cm). Surgical exploration was done in all cases. On IHC, tumor cells were consistently positive for vimentin and negative for chromogranin (100%). CK was positive in 12 cases (38.7%), CD 10 showed perinuclear dot positivity in 14 (45.16%) cases and cytoplasmic positivity in 05 (16.12%) cases. All cases showed loss of membranous staining for both β-catenin and E-cadherin with nuclear positivity in 90.32% and 70.16% cases, respectively. PR was positive in 20 (64.51%) cases, while all of them were negative for ER. 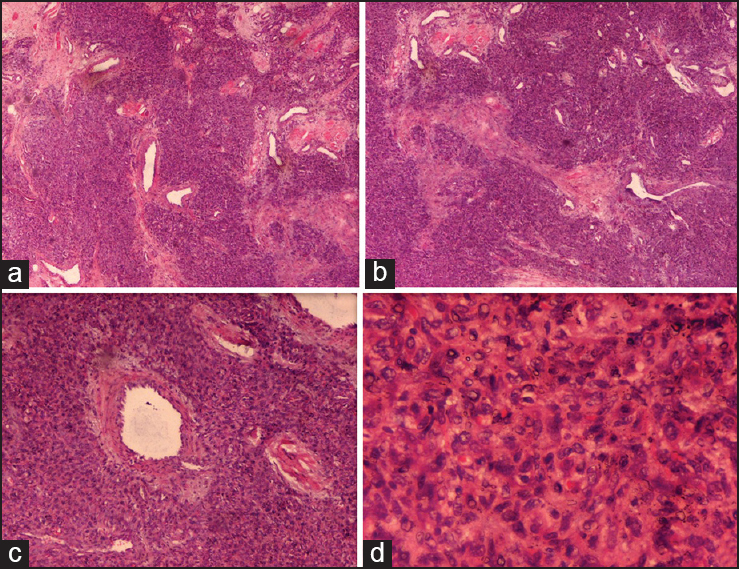 Conclusion: Solid-pseudopapillary neoplasm is a tumor commonly affecting young females. Loss of membrane expression of β-catenin and E-cadherin with nuclear positivity can be used confirm the diagnosis of SPN. Background: Cysteine protease Cathepsin L is involved in bone remodeling and expressed in activated macrophages. It is highly expressed in metastatic tumor tissue, especially with bone metastases. Aims: We evaluated immunohistochemical expression of Cathepsin L in tumor cells and tumor-associated macrophages (TAMs) in chemo-naive Ewing sarcoma. 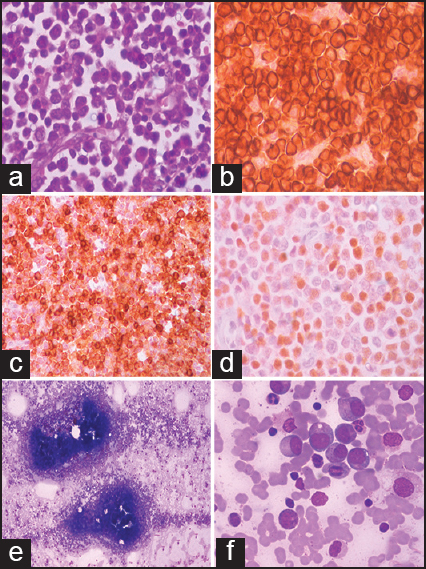 Settings and Design: Retrospective evaluation of archived specimens of Ewing sarcoma. Materials and Methods: Immunohistochemical staining was performed on archived blocks of chemo-naive patients with Ewing sarcoma treated with uniform chemotherapy at our institute between January 2009 and November 2011. Statistical Analysis: Immunohistochemical expression was co-related with baseline demographics and survival. Results: During the study period, we had evaluable baseline samples from 62 patients with median age 15 years (range: 2-40); 26 (42%) had metastases. Cathepsin L expression in tumor cells was observed in 8/62 (13%) specimens. None of the baseline clinical characteristics correlated with Cathepsin L expression. Cathepsin L positivity was associated with poor response to neoadjuvant chemotherapy (NACT) (P = 0.05), but did not influence either event-free-survival (EFS) or overall survival. 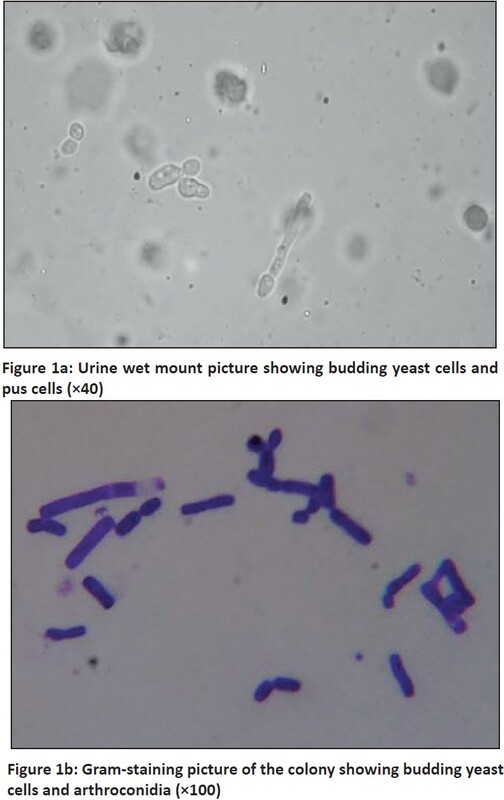 Cathepsin L was expressed in TAMs in all specimens. Grade 3 TAMs (>10 TAMs/high power field) was associated with better response to NACT (P = 0.05). On univariate analysis Grade 3 TAMs predicted superior EFS (median EFS 28.5 months in those with Grade 3 TAMs versus 14.8 months in those with grade ½ TAMs [P = 0.04]). Conclusions: Cathepsin L expression by immunohistochemistry was low in our patient cohort, and it did not affect the outcome. In addition, Grade 3 TAMs with Cathepsin L expression was associated with improved EFS. Background: Adrenal mass present with wide morphological spectrum and clinical manifestation, which can give rise to diagnostic confusion. Proper categorization is essential for individualized treatment. Aim and Objective: (1) Application of Weiss criteria to differentiate between benign and malignant adrenocortical neoplasm (2) co-relation of Ki-67 and p53 expression with the Weiss score. Materials and Methods: A prospective, observational study was conducted in the Department of Pathology in collaboration with department of Endocrinology and Urology of a tertiary care hospital including 19 patients presented with clinically symptomatic or radiologically detected adrenocortical mass. 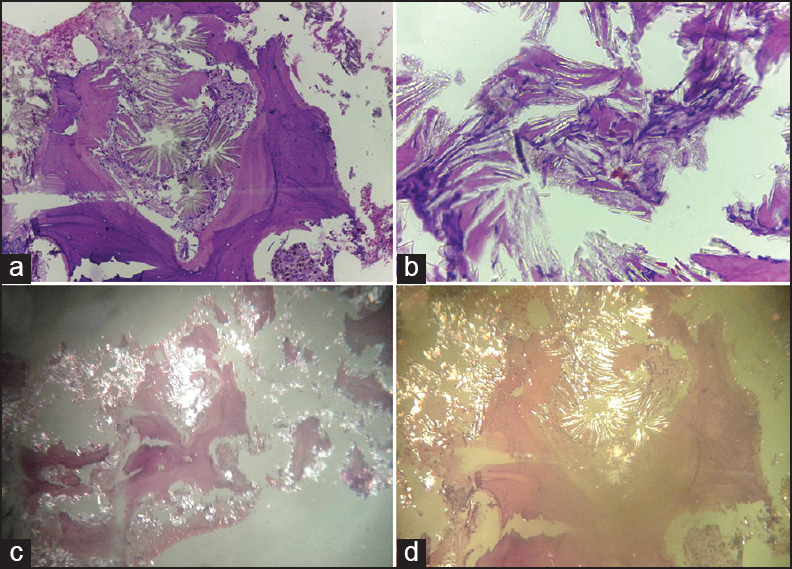 Tissue for histopathological study was obtained in the form of the postoperative material. Histopathological categorization was done, and Weiss score was calculated in all tumors. Ki-67 and p53 immunohistochemistry were performed. Result: A total 19 cases of adrenal mass lesions were included. Cushing syndrome was the presenting symptoms in 26.3% adrenocortical masses. 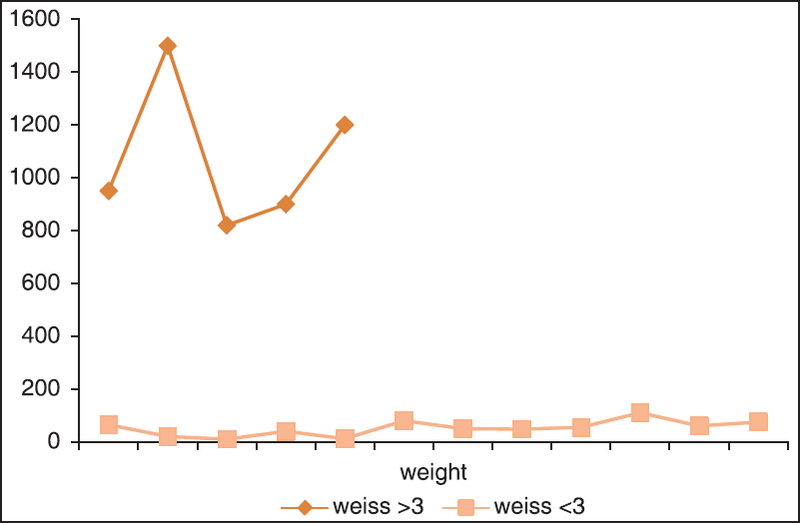 All patients with tumors with Weiss's score <3 (Group 1) were alive after 24 months of follow-up compared to 20% of those with Weiss's score >3 (Group 2). Statistically significance difference was noted in average weights and size of the tumors. Distribution of Ki-67 and p53 expression between Group 1 and Group 2 were compared and found statistically highly significant with Fisher's two-tailed P < 0.001. Conclusion: The combination of the meticulous evaluation of clinical, morphological and immunohistochemical profile helps in proper categorization of adrenocortical mass. Introduction: Mixed phenotype acute leukemia (MPAL) is a rare subset of acute leukemia where the blasts exhibit lineage specific antigens of more than one lineage. 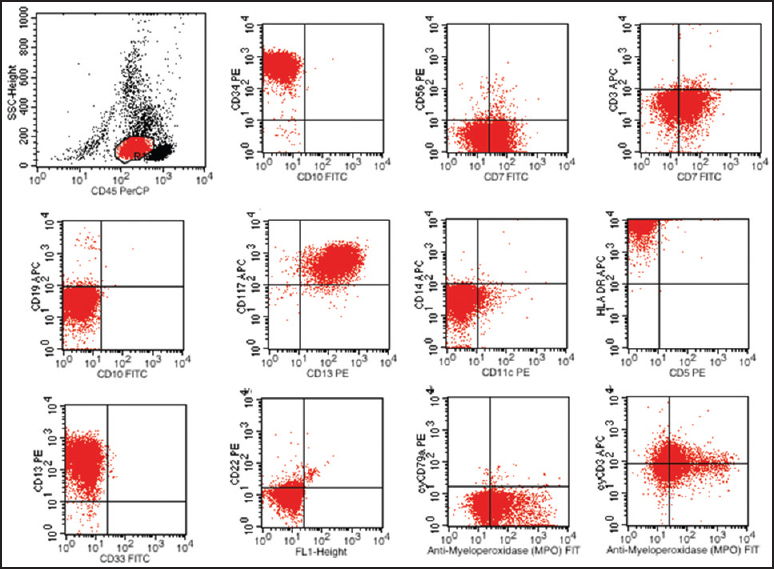 Flow cytometric immunophenotyping is essential for the diagnosis of MPAL and the accurate diagnosis highly depends on the panel of markers used. The precise incidence of MPAL is uncertain as various institutions use different combinations of antibodies to assign the blasts to a particular lineage. Aim: The aim was to study the immunoprofile of acute leukemia including aberrant antigen expressions and to study the incidence, clinical features, laboratory findings, and immunophenotype of MPAL in our institution. 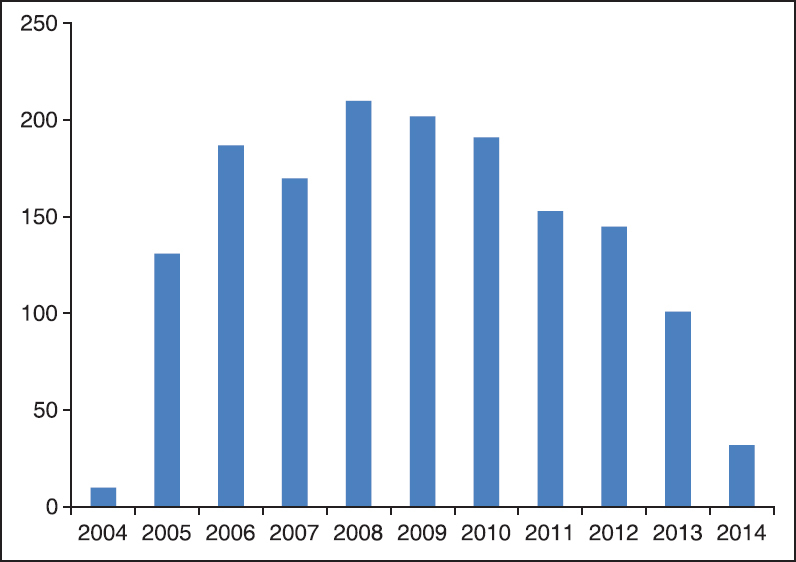 Materials and Methods: All cases of acute leukemias in which flow cytometric analysis during 1-year period from July 2012 to July 2013 were included in this study. Results: During the study period, flow cytometric analysis of 506 cases was performed. B lymphoblastic leukemia was the most common subtype of acute leukemia. CD13 was the most common aberrant antigen expression in acute lymphoblastic leukemia and CD7 was the most common aberrant antigen expression in acute myeloid leukemia. 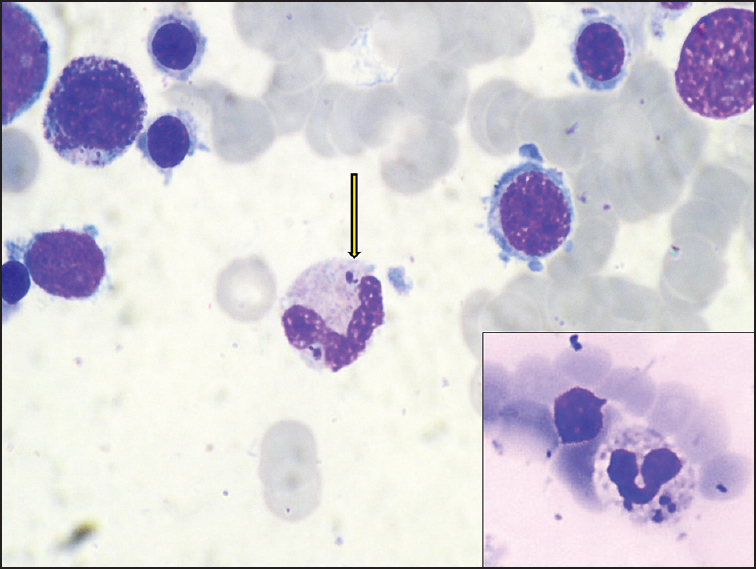 A diagnosis of MPAL was made in 15 cases, which accounted for 2.96% of all leukemias. 9 cases were diagnosed as T/myeloid, 5 cases as B/myeloid and 1 case as B/T. Conclusion: Mixed phenotype acute leukemia is a rare subset of acute leukemia. Flow cytometry is critical in establishing a diagnosis of MPAL. The panel of antibodies used is important in the identification of the "mixed" phenotype. Cytoplasmic markers (cytoplasmic MPO, cytoplasmic 79a, cytoplasmic 22 and cytoplasmic CD3) should be included in the primary flow cytometric panel. Introduction: Somatic mutation in the exon 14 of Janus Kinase 2 gene is an established diagnostic marker in bcr-abl negative myeloproliferative neoplasms, especially primary idiopathic myelofibrosis (PIMF). Aim: Our primary aim was to find out the correlation between the JAK2V617F mutational status and the clinico-hematologic characteristics, as well as the international prognostic scoring system (IPSS) scoring of patients with PIMF. 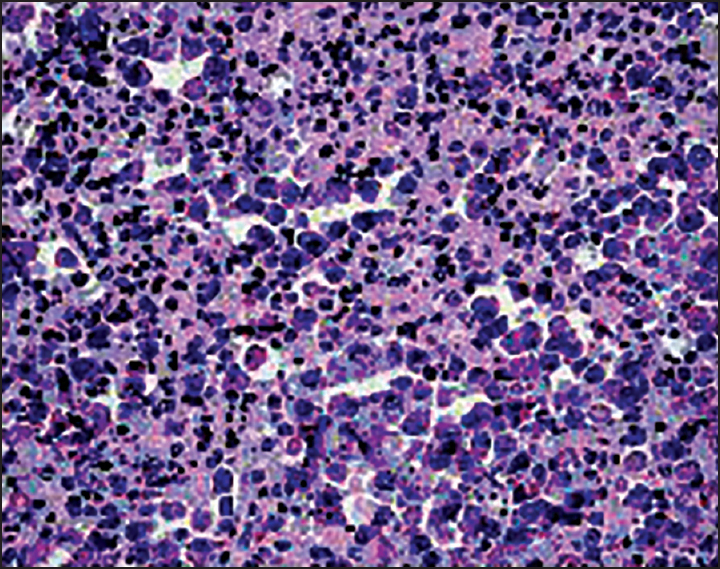 Materials and Methods: Clinical and hematologic features were reviewed for 68 patients with primary idiopathic myelofibrosis (PIMF). JAK2V617F mutation status was analyzed by amplification refractory mutation screening-polymerase chain reaction. The patients were further stratified into low, intermediate-1, intermediate-2 and high-risk groups on the basis of IPSS scoring. Results: The JAK2V617F mutation was detected in 58.8% patients. Univariate analysis of variables at presentation identified that JAK2V617F negative patients were significantly associated with more severe anemia (P = 0.045), younger age (P = 0.008), higher transfusion requirement (P = 0.017), and thrombocytopenia (P = 0.015). Patients who were homozygous for JAK2V617F mutation were associated with thrombocytosis (P = 0.014) and also had higher median total leucocyte count (P = 0.20) than the other groups. No significant correlation was detected between JAK2V617F mutational status and the presence of constitutional symptoms, spleen size, grade of bone marrow fibrosis or prognostic risk stratification of the PIMF patients. Conclusion: The variations in the prognostic implication of PIMF patients with mutation status as stated by various publications worldwide, reinstates the need for larger prospective studies using standardized JAK2V617F quantification methods as well as estimation of other newer molecular markers to develop deeper insight into various molecular alterations involving PIMF patients in India as well as worldwide. Background: Klebsiella pneumoniae carbapenemase (KPC) is one of the carbapenemases that can cause multi-antibiotics resistance in Acinetobacter baumannii. A simple phenotypic rapid and accurate test for the detection of A. baumannii - KPC-producer can be useful in treating related infections. The aim of this study was to determine the synergism effect of boronic acid (BA), as an inhibitor, and meropenem to confirm modified Hodge test (MHT) positive strains for KPC-production. Materials and Methods: Totally, 126 A. baumannii isolates were used as clinical strains. Imipenem resistant isolates were identified by disk diffusion method according to the Clinical Laboratory Standards Institute recommendations. Presence of KPC in imipenem resistant isolates was determined using the MHT. In addition, we used BA as a KPC inhibitor for final confirmation of the species of interest. Additionally, we employed the use of synergism effect of meropenem and cloxacillin to detect false positive cases. Results: Of 126 strains, 108 were resistant to imipenem, for which 93 strains were MHT positive. Totally, 68 out of 93 MHT positive isolates had at least 5 mm enlargement of the diameter of the zone of growth inhibition between the meropenem alone and meropenem combined with BA. Of these 68 isolates, 8 had at least 5 mm enlargement of the diameter of the zone of growth inhibition with BA alone and in 60 strains it was observed by cloxacillin. Conclusion: Our study suggests that MHT alone cannot confirm KPC-producer microorganisms and that it requires other complementary tests such as the usage of inhibitors. Background: Surgical site infection (SSI) is one of the most common postoperative complication and causes significant postoperative morbidity and mortality. Patients: A prospective study was carried out in a total of 100 patients operated for clean and clean-contaminated surgeries from department of orthopedics, surgery and obstetrics & gynecology. Materials and Methods: Relevant details were noted in clinical history. Each patient was followed from the time of admission till discharge from the hospital and also for 30 days postoperatively (CDC, 1999). The identification of the infecting organism was done by staining, and culture and antibiotic susceptibility by Disc Diffusion method. Results: Out of 100 patients, 32 patients got infected post-operatively. Staphylococcus aureus was the most common organism isolated. None of the strains were Methicillin resistant. Drug resistance was widespread, especially in Enterobacteriaceae, where the Cefotaxime resistant strains of Escherichia coli and Klebsiella pneumoniae were ESBL producing. Another concern in recent times is the isolation of Acinetobacter from surgical wounds. Various patient factors and hospital protocol were analyzed with regard to the treatment outcome. Judicious use of antibiotics along with evidence-based medicine is the need of the hour to stop the rise of these superbugs. Oncocytic mucoepidermoid carcinoma of the salivary gland is rare. 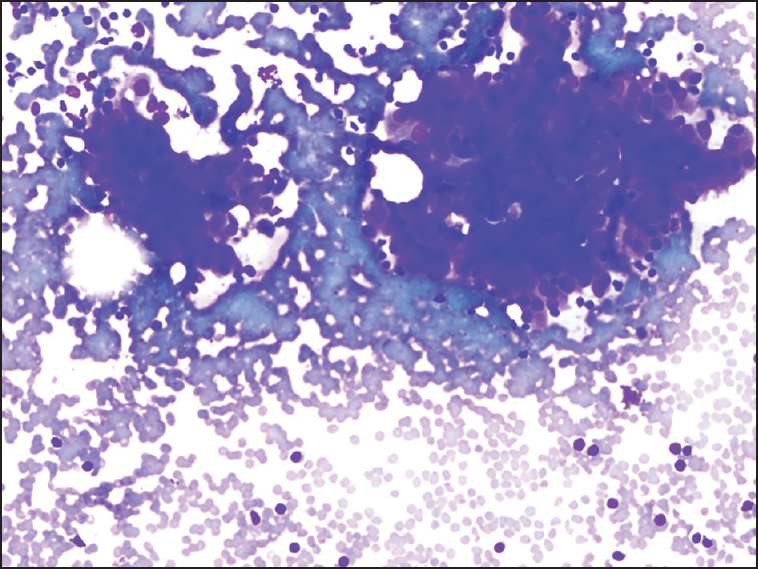 We report a 48-year-old man who presented with a slowly growing right parotid mass. 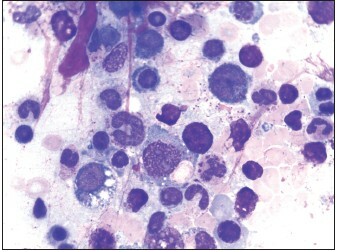 A preoperative fine needle aspiration showed exclusively oncocytic cells and cellular debris. A first diagnosis of Warthin tumor or myoepithelioma was made. 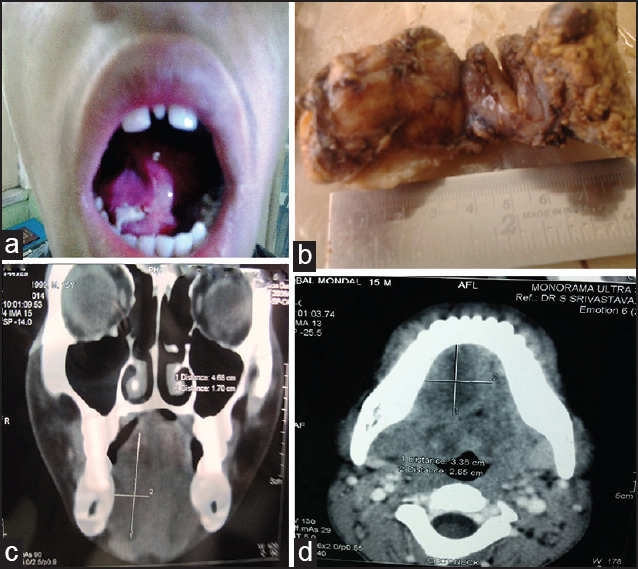 The patient underwent a superficial parotidectomy, and her postoperative course was uneventful. 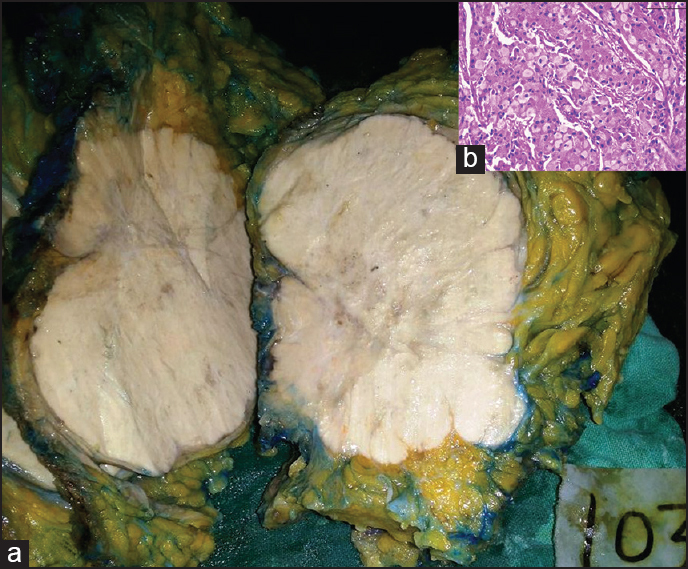 Histologically, the tumor was composed of solid nests and cystic gland containing clear mucoid material, lined predominantly with oncocytes and few mucous goblet cells. A final diagnosis of oncocytic variant of mucoepidermoid low-grade carcinoma was made. The recognition of this variant is important, because may be easy confused with most frequent benign tumor with oncocytic cells; in this case a complete surgical excision and long-term clinical follow-up are an adequate management. We present a rare association of cystic fibrosis and retro positivity in a grossly malnutrited child. 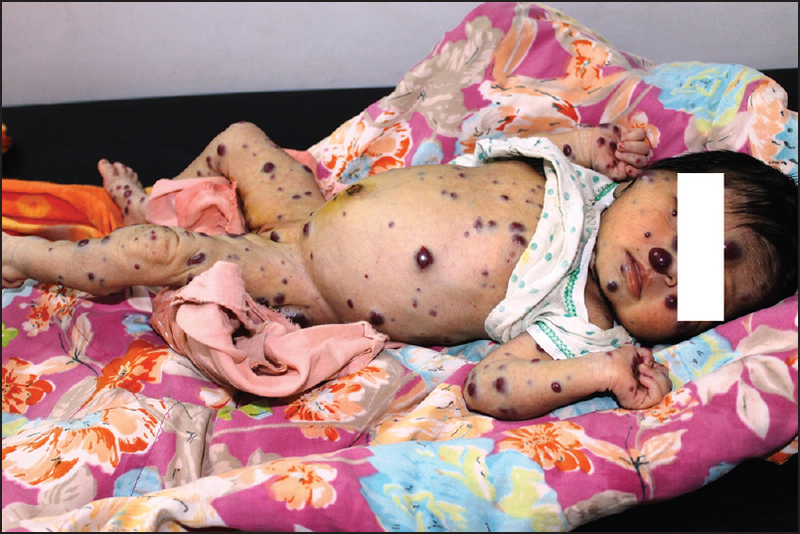 The child had pulmonary, pancreatic and colonic manifestations with superadded herpes simplex virus interstitial pneumonia and lymphocytic meningitis. Myopericytoma is a rare benign tumor with perivascular myoid differentiation. It shares histomorpholoic features with the so-called hemangiopericytoma, myofibroma and glomus tumor. We hereby report the case of a 14-year-old boy who presented with a slowly growing, painless, firm mass on upper lip, diagnosed as myopericytoma on the basis of histopathology and immunohistochemistry. To the best of our knowledge, this is only the second such reported case. Merkel cell carcinoma (MCC) is a highly aggressive neoplasm of skin with neuroendocrine differentiation. Primary MCC of the oral mucosa is exceedingly rare and even more unresponsive to therapy. A 15-year-old male presents with gradually increasing painless swelling in right side of the floor of mouth for 6 weeks. Computed tomography of head and neck region showed globular mass (4.6 cm × 1.7 cm) involving right side of the floor of mouth. 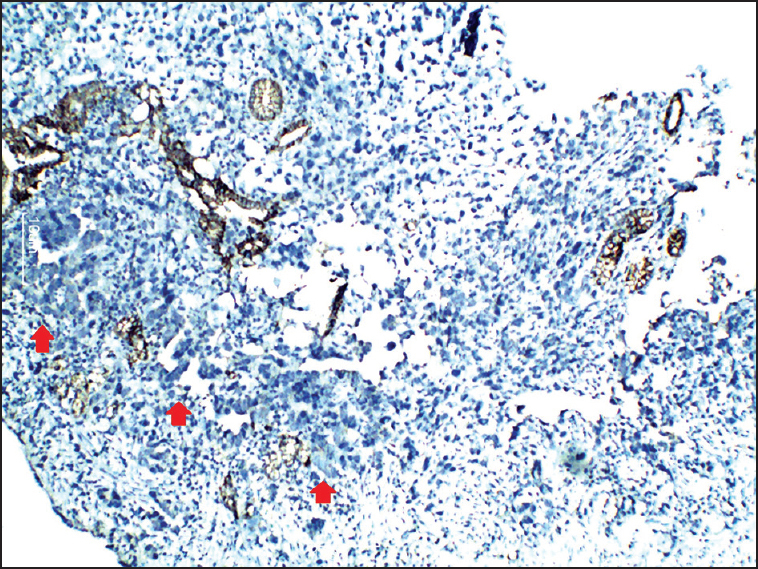 Fine-needle aspiration from the upper deep cervical node suggested small round cell tumor. A trucut biopsy showed mass composed of trabeculae and nests of tumor cells with high N:C ratio, granular speckled chromatin, scanty to moderate amount of clear vacuolated cytoplasm. Cells were immunoreactive for cytokeratin-20, CD56, c-kit, CD99 and negative for p63, thyroid-transcription factor-1, CDX2, synaptophysin, neuron-specific enolase. Patient was started on chemotherapy with cyclophosphamide, doxorubicin and vincristine. The mass regressed in size and patient underwent wide local excision with pull-through approach. Patient is currently under combined chemoradiation regime and doing well. Mitral valve prolapse (MVP) is usually asymptomatic, but can be associated with complications such as infective endocarditis, mitral regurgitation, thromboembolism and sudden cardiac death. It has been very rarely reported to occur in association with other valvular involvement. 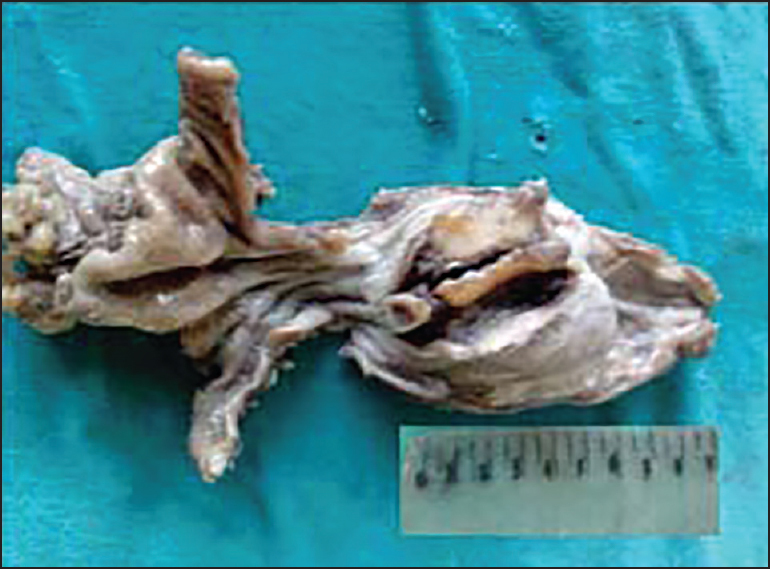 A 55-year-old male patient was brought dead and at autopsy the mitral valve orifice was stenotic and the leaflets were enlarged, myxoid and bulging suggestive of MVP and chordae tendinae were thickened, stretched and elongated. Similar changes were seen in the tricuspid valve. 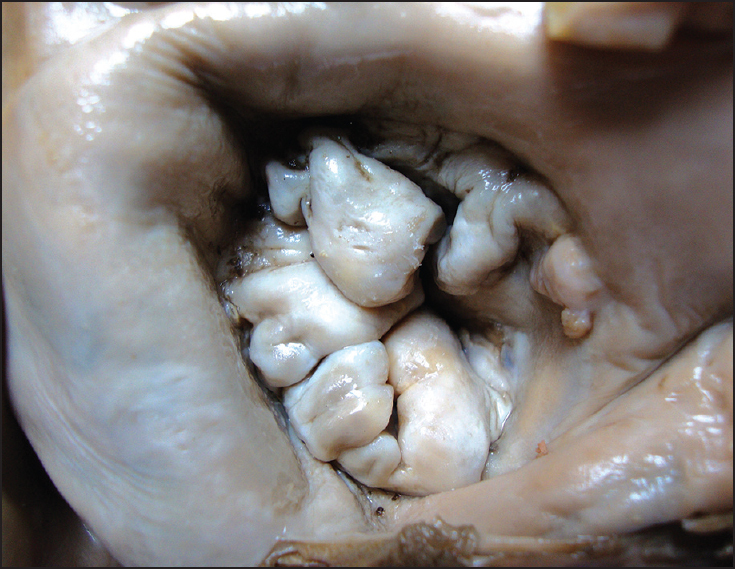 The pulmonary and aortic valves also showed myxomatous degeneration of their cusps. Myxomatous degeneration is the most common cause of MVP and it can be associated with involvement of the other valves. Concomitant involvement of the aortic valve has been reported, however it is very rare and simultaneous involvement of the pulmonary valve has not been reported in the literature so far. We report a case of MVP associated with myxomatous degeneration of the tricuspid, pulmonary and aortic valves. Malignant peripheral nerve sheath tumors (MPNSTs) are uncommon sarcomas that originate from a peripheral nerve or neurofibroma either spontaneously or in association with neurofibromatosis type 1. MPNSTs account for approximately 5% of all soft tissue malignancies. The tumor is commonly seen in the extremities and trunk. Most of these tumors are high-grade with the potential to recur and metastasize. Common metastatic sites include the lungs, bone, and pleura. 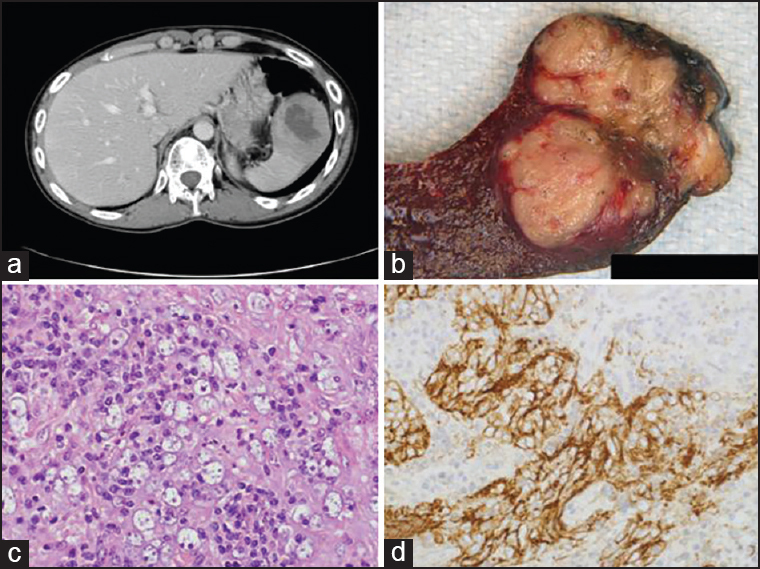 Primary intraosseous MPNST is rare, and the diagnosis of intraosseous MPNST, especially in an unusual location is difficult because of its cellular origin, histomorphological similarities with other sarcomas, and bone is the most common site for metastasis. 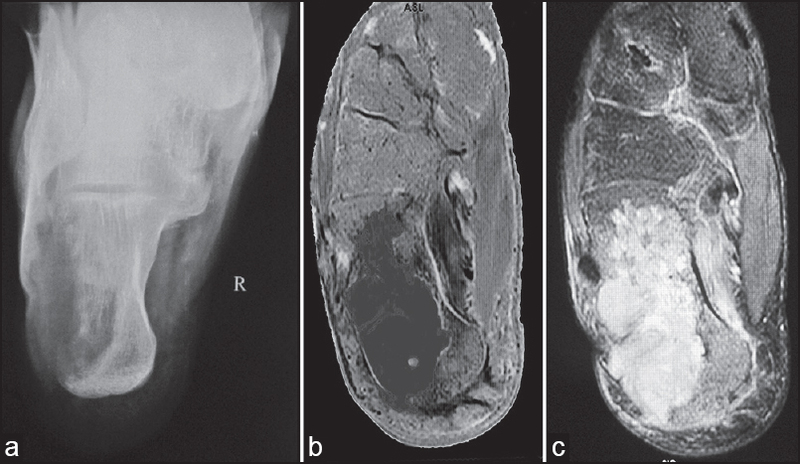 We report an unusual case of MPNST of the calcaneus in a young male. 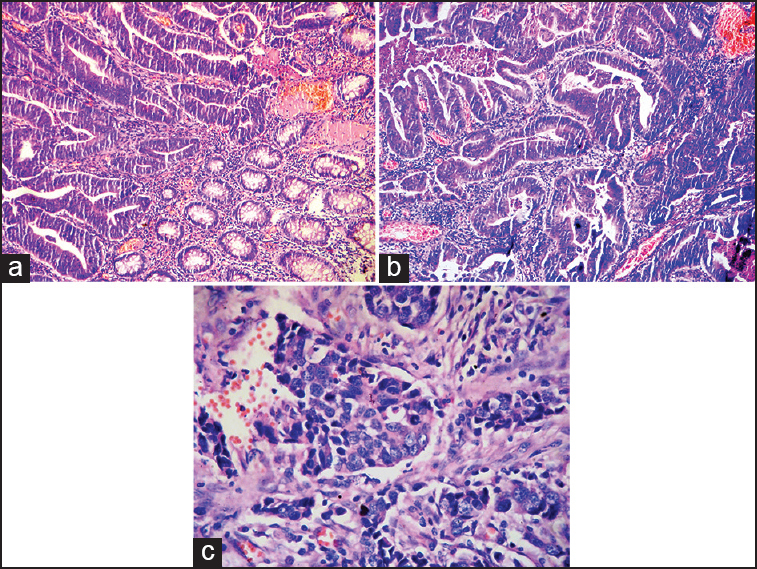 Occurrence of carcinoid tumors in the esophagus is exceedingly rare. We present a case of an atypical carcinoid in the mid esophagus in a 56-year-old male, presenting with dysphagia. Esophagectomy was performed followed by postoperative chemotherapy. Histopathological and immunohistochemical studies were carried out. The patient succumbed to liver and lung metastasis, 6 months after the initial diagnosis, highlighting the poor prognosis of the condition. Angiomyomatous hamartoma (AMH) is a rare benign lesion, which occurs almost exclusively in the inguinal lymph nodes. We herein report a case of a female elder who presented with a long-standing inguinal mass. Microscopically, the mass showed a zonal distribution, characterized by thick-walled muscular vessels, fibrosis, and calcification in the hilum and proliferating spindle cells around thin-walled vessels and plexiform vessel tangles at the periphery. The spindle cells show positive immunoreactivity of smooth muscle actin and CD34 with a heterogeneous expression of desmin and CD44. 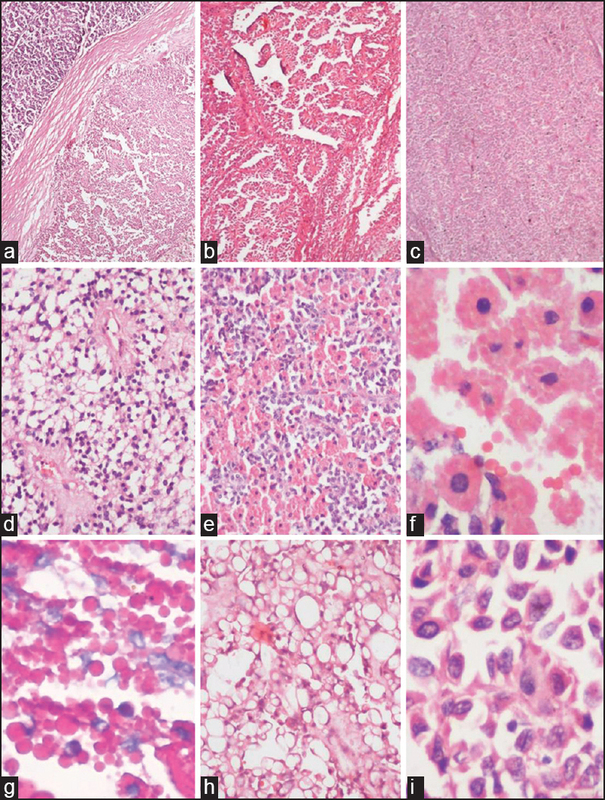 Although the pathogenesis of AMH remains uncertain, the histological features and immunohistochemical findings of this case imply a disordered or exuberant angiogenic process. It is extremely rare to find mullerian choristomas in association with spinal dysraphism, with <10 cases published in English literature. 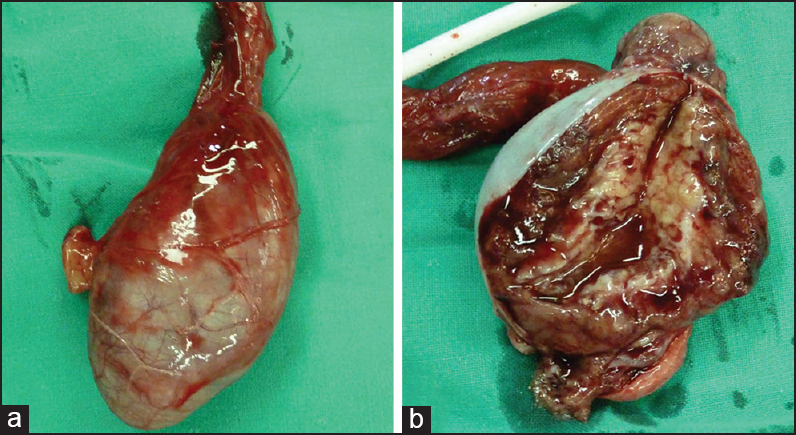 We report a case of heterotopic uterus and fallopian tube-like tissue within a lumbar subcutaneous lipoma associated with spina bifida and tethered cord. 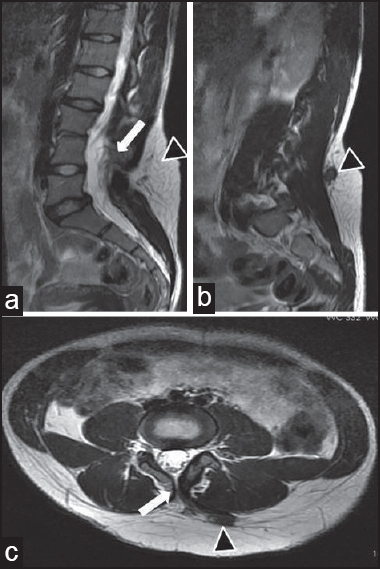 A 21-year-old lady presented with lumbar swelling since birth and dull pain in the lower back. Magnetic resonance imaging showed spina bifida at level L3 and L4, tethering of the cord and a subcutaneous lipomatous swelling. Biopsy revealed lobules of fibroadipose tissue embedded in which were seen organoid cystic structures containing prominent smooth muscle coats in their wall. These cystic structures were lined by the endometrium and showed fallopian tube-like papillary infoldings. Immunohistochemistry showed estrogen receptor positivity in the epithelium, stroma, and smooth muscles. The epithelial cells were also positive for cancer antigen 125 and cytokeratin 7 while the stromal cells showed CD10 positivity, supporting mullerian derivation. The pathogenesis and differential diagnosis of such lesions is discussed. Adenocarcinoma of the rete testis is rare, and its etiology is unknown. The definite diagnosis merely depends on the exclusion of other tumors and histological features. 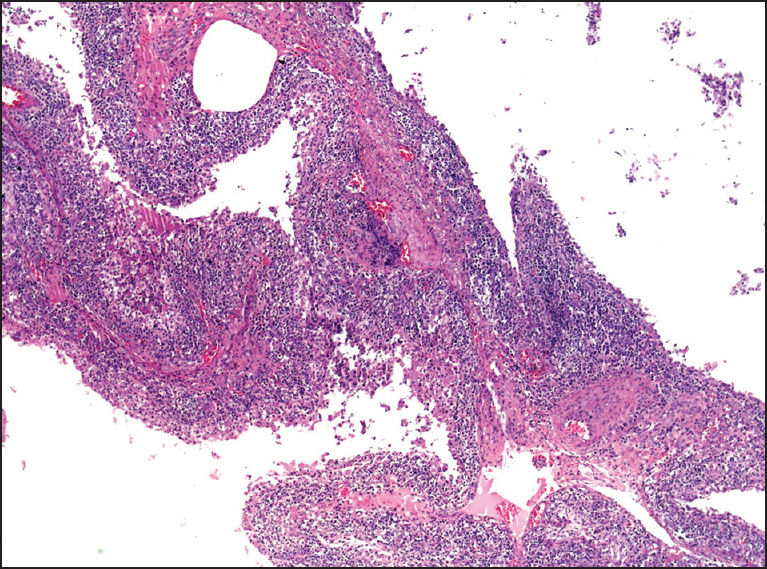 We first describe a 38-year-old man with a carcinoma arising in the rete testis. The tumor was characterized by clear neoplastic cells and branching papillary growth. Focal stromal invasion and transition of normal rete epithelium to neoplastic cells were seen. The neoplastic cells were positive for epithelial membrane antigen, Ber-Ep4, vimentin, renal cell carcinoma marker, and CD10, while negative for Wilms' tumor 1, thyroid transcription factor-1, estrogen receptor, prostate specific antigen, placental alkaline phosphate, CD117, and alpha-1-fetoprotein. According to the above features, we diagnosed this tumor as adenocarcinoma of the rete testis. To our best knowledge, this is the first reported case of adenocarcinoma of the rete testis with prominently papillary structure and clear neoplastic cells. The rarity of adenocarcinoma of the rete testis and the unique features in our case cause diagnostic pitfalls. A complete clinicopathological study and thorough differential diagnosis are crucial for the correct result. Paraganglioma of the urinary bladder is a rare pathologic entity with no definitive histological, immunohistochemical or molecular features to determine its malignant potential. Malignancy is essentially determined by the presence of deep local invasion, invasion of adjacent structures and lymph node or distant metastases. So far, up to 180 cases of paraganglioma have been reported, with <30 being malignant. 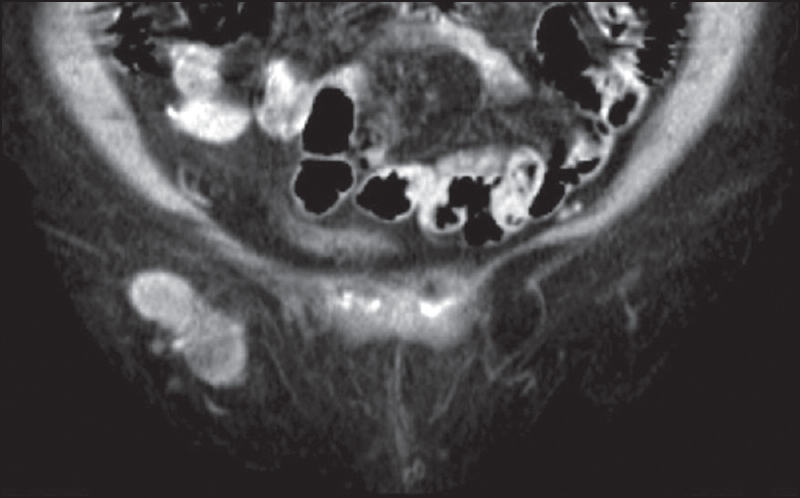 A 50-year-old male presented with painless hematuria for 6 months. Cystoscopic biopsy of the bladder mass was given as invasive urothelial carcinoma. Patient underwent radical cystectomy with pelvic lymphadenectomy. The gross morphological brown discoloration of mass on formalin fixation was suspicious of paraganglioma and was confirmed on immunohistochemistry. The diagnosis of malignant paraganglioma was made based on regional lymph node metastases. We describe a rare case of a patient with malignant urinary bladder paraganglioma with main differential diagnostic considerations on the histomorphology. Malignant granular cell tumor (MGCT) is rare tumors that comprise 1-2% of all granular cell tumors. They commonly arise on lower extremity, nuchal region, chest wall, gastrointestinal tract, head, and neck but very rarely in breast. We report a case of a MGCT of breast with review of literature. The patient had noticed a breast mass 4 years back which was operated, and wide local excision was done. The tumor was diagnosed as MGCT. The tumor fulfilled 3 of the 6 criteria of Fanburg-Smith et al. The patient received 8 cycles of chemotherapy thereafter with 4 cycles of antharacycline and 4 of taxanes. However, the tumor reoccurred 4 years after resection and grew rapidly. Contrast-enhanced computed tomography done showed a large lobulated breast mass with axillary lymph node metastasis. She underwent Modified Radical Mastectomy with axillary clearance. The histopathology this time also revealed similar malignant tumor. To the best of our knowledge, only 7 cases have been reported in indexed English literature occurring primarily in breast. Anaplastic lymphoma kinase-positive large B-cell lymphoma (ALK + LBCL) is a rare variant of LBCL with an abnormal immunophenotype, which is easily misdiagnosed as carcinoma or plasma cell neoplasm. 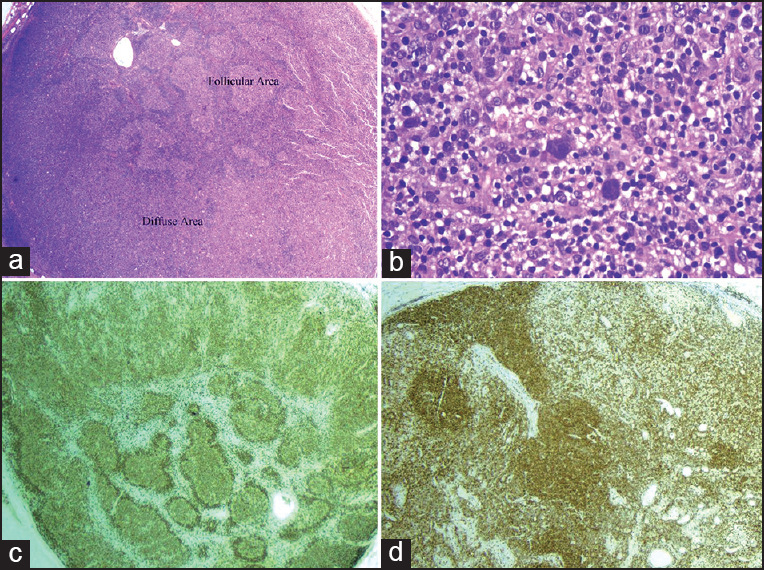 Here, we present two cases of ALK + LBCL in the lymph node; describe their clinical, pathological, and immunophenotype features; and compare them with those of the reported cases. Trichosporon asahii (formerly known as Trichosporon beigelii) is an emerging, life-threatening opportunistic pathogen and has been found to be invariably associated with disseminated or deep-seated trichosporonosis, more so among the patients with granulocytopenia or hematological malignancies. We here report a successfully treated case of disseminated trichosporonosis in a known diabetic, 14-year-old girl, admitted to our hospital with chief complaints of fever, chills, and burning micturition since 3 weeks. Disseminated trichosporonosis is usually an insidious disease with poor prognosis. Early diagnosis is crucial for successful treatment. High index of clinical suspicion and extensive microbiological investigations can clinch the diagnosis. Autoimmune oophoritis is a rare disorder causing ovarian failure clinically characterized by amenorrhea and infertility. It often occurs in a setting of autoimmune polyendocrine syndromes. A 38-year-old female presented with a 3 years history of secondary amenorrhea. She was on treatment for Hashimoto's thyroiditis and Addison's disease. The ovaries were cystic and histologically featured by folliculotropic lymphoplasmacytic inflammatory infiltrate concentrated in the theca interna layer of developing follicles, but sparing the primordial follicles.